Announcement PRODUCTION TIME before SHIPPING is 2 to 4 business days depending on how many orders I have. See more info below! 2019 pennies have arrived! All listings should be updated to include them. EVERYTHING in my shop is MADE TO ORDER. Due to the volume of orders and the time required for personalizing individual items my current production time can be up to 4 business days before your package ships although they usually ship sooner. 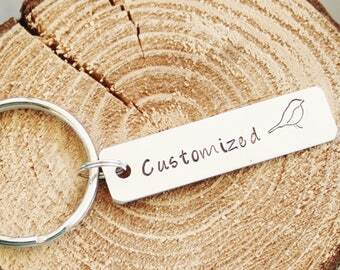 Personalized, made to order items take time to complete. When you purchase, your order goes into a queue: meaning I make each item in the order it was received and the production time depends on how many orders I currently have. If you need a rush order please contact me before you purchase and I can let you know what is possible. Sturdy 12 gauge aluminum cuff bracelets are now available! Much sturdier and more durable than the usual 14 gauge metal that other shops use (the lower the gauge, the thicker the metal). Aluminum will not rust, tarnish or turn your skin green. GIFT GIVING: Most of my items are shipped in a gift box then placed into a clear cello sleeve, closed with a branded sticker appropriate for gift giving. Bulk tie on bracelet listings may have options that can include your choice of clear cello sleeves, zip lock baggies or gift boxes. Please contact me ●✿●BEFORE●✿● you purchase if you need an item by a certain date and we can work out the details. If you leave a date needed by without contacting me before you order I may not be able to honor it (depending on the volume of my shop orders). If I am contacted in advance then I can add your purchase to my "rush order" list. I do not charge extra for this service like other shops do. But having lots of orders makes it impossible for me to honor these requests unless you let me know up front. It is required that during checkout you leave a note where you let me know that we discussed and that I agreed to a rush order along with your need by date. I now have estimated production times in the first paragraph of every listing! ●✿●PLEASE NOTE ●✿●YOUR ONLINE INVOICE WILL SHOW THE EXPECTED DATE FOR YOUR ORDER TO SHIP OUT (NOT ARRIVE). That info is in the YOU tab in the upper right of your Etsy page. Go to your Purchase and Reviews page to see your order receipt (see link below). Most orders will ship before that date depending on how many orders I have ahead of yours. This info was also in the listing at the time of purchase. My "Rock Paper Scissors" bracelet cuff was used in several scenes on "The Walking Dead" Season 4, Episode 2 (Infected) and 3 (Isolation) in Oct 2013. It was worn by the "Karen" character. UPDATE: The bracelet will be seen again sometime in Season 5 I sent off 2 more bracelets to Senoia, Georgia to the Property Master of the show. I am not sure when or if the second set ever appeared. PRODUCTION TIME before SHIPPING is 2 to 4 business days depending on how many orders I have. See more info below! 2019 pennies have arrived! All listings should be updated to include them. 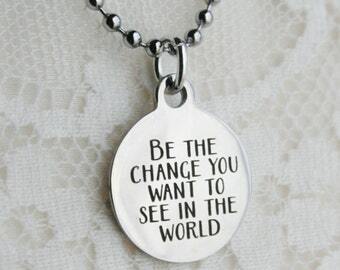 Adding new stainless steel necklace and bracelet charms to my shop over the next few days! This is one of my favorites. Going to the local junk/salvage shows has inspired me to make a line of "junking" cuffs! My huge collection of design stamps! Over 200 available now! I have been a member of Etsy since September 2006. I started Always A Memory Jewelry in 2010 after experimenting with many different types of crafts and jewelry making. I have been a full time seller since quitting my day job in September of 2012. I love the freedom that I now have to see my family, travel and do things that I couldn't do while working for someone else. I appreciate that Etsy has enabled me to be able to live this new life that I love. I settled on making hand stamped jewelry because I love the feeling of creating something meaningful and different each time I get an order! I started out with a very limited selection of designs but over time, with the purchase of supplies (mostly on Etsy), new tools, multiple fonts and over one hundred design stamps, it has morphed into the shop you see today! I am always brainstorming new ideas and looking for inspiration. Almost every piece in my shop is made to order and can be customized for you. I love making things that will have special meaning to the person who receives them. I have had some wonderful customers who say the nicest things in my shop reviews and they make me very happy to be here! My "Rock Paper Scissors" bracelet cuff was used in several scenes on "The Walking Dead" Season 4, Episode 2 (Infected) and 3 (Isolation) in Oct 2013. It was worn by the "Karen" character. UPDATE: The bracelet will be seen again sometime in Season 5. I just sent off 2 more bracelets to Senoia, Georgia to the Property Master of the show so if you are a fan of the show please watch for them! Always A Memory is a one woman operation! I am in my shop and working on orders on a daily basis so I am available to answer questions or discuss custom orders. Everything is hand stamped in my home studio by me, one letter at a time. I do all the supply purchasing, product design, production, photography, customer service, packaging and shipping. I am married, have 3 children and 5 grandchildren. I live in the central Willamette Valley in the beautiful state of Oregon! I am very excited about the future of Always A Memory! Thank You for visiting my shop and taking the time to learn more about me and my shop! 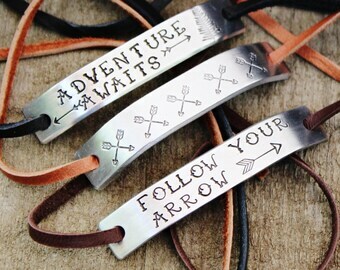 I have always been creative and taught myself how to make hand stamped jeweIry about 9 years ago. I started with a small kit of tools & supplies and it has evolved into the shop you see today! I love making beautiful pieces that have special meaning to the recipient. I hope I can create something special for you. Please contact me if you have any questions. Thank You! Custom orders are welcomed! Just contact me via the Etsy conversation system and lets discuss what you would like to have made. RECEIPTS: A receipt will be included in every order unless you ask me to leave it out in the case of a gift purchase. I can do a gift receipt or leave it out entirely. If you do not state that your order is a gift being sent to the recipient (leave this info in the message to seller box during check out), a receipt will be included. International orders will always have the required receipt to in order to follow customs regulations. MARKING YOUR ORDER AS A GIFT does not include gift wrapping or mean that your package will be marked as a gift for customs purposes. It means that your order will have a gift receipt included. PLEASE: Do not open a case against my shop until you have contacted me ONLY on ETSY. No Emails. When you choose the "Report An Issue" button you are reporting my shop to Etsy, not simply getting in contact with me. Please make opening a case against any shop your last resort. It's not the best way to inquire about a delayed package, shipping details, problems with your order, etc. Most of the time your questions can be answered by reading your purchase receipt to see your latest expected ship by date or your shipping details. Please wait until you've contacted me via Etsy and I am allowed the chance to help you first. I am always willing to work with you within my policy guidelines or to help find that missing or delayed package, etc. Thank You. Due to the nature of personalized items I will not accept a return unless I have made a mistake in the personalization of your item. I keep all convo, e-mail and order records for verification. I do my very best to package your item carefully and securely. Please see additional info below about every personalized order. In the very rare event that I do allow a refund then the item(s) will need to be returned to me before any refund will be issued. Broken or damaged items will need to be photographed and/or returned before any refund will be issued. Shipping may or may not be refunded depending on the reason for the return. I do not offer partial refunds for any reason. YOUR STAMPING INSTRUCTIONS: I follow the stamping instructions that are left in the note to seller during check out. Please be VERY clear on which font, design stamp numbers you would like and the exact placement of each one. They are typically in the last photo of each listing. If there is no font and design stamp sample photo it means that the listing is only available as seen. You would need to search my shop for the personalized listings or contact me for a custom order. 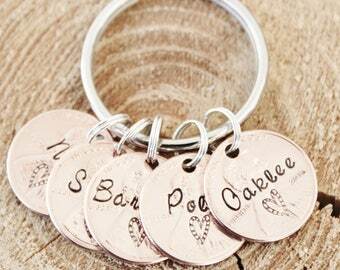 If you don't leave any font choice it will be stamped with the font in the first sample photo in the listing. If you leave instructions typed in all lowercase but leave instructions to stamp with an all uppercase font then it will be stamped using the all uppercase font. If you leave stamping instructions in all lowercase and the font you chose has upper and lowercase it will be stamped in all lowercase. I typically stamp it the way you wrote/typed it out except in the case of the font discrepancy where I will go with whichever font you chose. So. please be very clear in your instructions. Thank You! PAYMENTS: I am PayPal verified. I also offer Etsy's Direct Check Out option. You can still choose to use PayPal. Just click on the PayPal logo during check out. COUPON CODES: Discount coupon codes are not to be applied to any wholesale or larger bulk order discount. Any order placed with a discount code on this type of order will be immediately canceled and refunded. The wholesale discount that I provide after we have discussed it IS the discount. Thank You. Production Time: Order production times vary before they ship depending on how many orders I have ahead of yours. Please let me know if you need something by a certain date BEFORE you purchase and I will do my best to accommodate your needs. It's best if we work out those details BEFORE you purchase so you are not disappointed. Thank You for your understanding. I ship via USPS First Class Mail within the US or USPS First Class International to everywhere else. You can upgrade to Priority Shipping within the U.S. There is FREE tracking info for all items shipped to destinations within the US and tracking is included to many International destinations now. This protects you and me! RUSH ORDER AGREEMENTS: If you contacted me BEFORE you purchased and have left the required need by date in the note to seller box during check out than your order will be shipped within that time frame. If you do not leave the need by date that we discussed: then your order will not ship early as requested. I must have a need by date to do the rush order. I get many requests and these must be noted in the order details as I cannot remember each one. If you forget that information than you must remind me ASAP via ETSY conversation so I can add it to your order details. GIFT ADDRESSES must be used in place of your own address during check out. I will not ship to a different address such as the customer leaving a different address in the note to seller box with instructions to ship to that address instead. I negate my seller protection by shipping to an address that is different than what was left during check out. I reserve the right to refund and cancel your order and ask you to repurchase with the new/corrected/gift address. US SHIPPING: Most items will be shipped in a padded envelope with your jewelry always placed in a sturdy gift box. I've never had a problem sending jewelry this way. If you are in the U.S. and would like to upgrade to the small flat rate USPS Priority Mail box please choose that option during check out or let me know if you'd like it added before you purchase. PRIORITY MAIL: Upgrading to Priority Mail does not rush your order or speed up the current production time unless I have agreed to that prior to your purchase. It only speeds up your shipping time once your item has been made and is ready to ship. Current production times that are stated in every listing will still apply. I do not do rush orders unless I agree to a specific date prior to purchase. If you need a rush order please contact me BEFORE you purchase. SEE above info about RUSH ORDER AGREEMENTS. MISSING SHIPMENTS: I will work with you on a case by case basis for lost/stolen packages. Every missing/stolen package will be reported to the U.S. Postal Inspector for an investigation. You may be required to complete legal forms, insurance claim forms and/or report the loss to your local police station depending on the situation and cost of the items. A U.S. package is not considered lost (according to the USPS) until at least 30 days has passed since the date of shipment. A missing U.S. package must be reported to me within 15 days of shipment so that I can help contact the post office to find it. If you wait too long to notify me then the chances of finding it are much less. Please watch the tracking that I provide on every package so that you can see where your package is enroute and the delivery details once it arrives. International packages can take 6 weeks or longer to arrive. ORDER CANCELLATIONS: No order cancellations/refunds are accepted on CUSTOM/PERSONALIZED made to order items once they have been started, completed and/or shipped. SHIPPING ADDRESS MISTAKES: I no longer remake or reship items at my cost for incorrect addresses given during check out. This has happened several times in the recent past and all orders were confirmed as delivered. If your package comes back to me for some reason then you must pay the additional shipping cost plus any payment fees to have it reshipped back to the new and corrected address. Please verify that you have given the correct address when you check out. Thank You! All of my items are hand stamped by me in my home studio. Each one will be different and unique although I will do my best to stay within the design of the original listing. The placement of letters and designs will be slightly different on each piece but that is what makes them unique and one-of-a-kind! I do not machine engrave. Each letter is hammered one at a time so your lettering will not be absolutely perfect but I always try my best. I do not ship items that are not up to my standards but I do not take responsibility for your font or design choices made at time of purchase. Due to the nature of personalized items I cannot offer refunds once they have been made and shipped. I do my best to make sure that your order is correct before I start work on your personalized item. Please take great care in giving me your names, dates, order of names, sizes, cord colors, etc. I do correct obviously misspelled wording unless you state that you want it stamped that way. All details of your order need to be included in the note to seller box during check out. I am not responsible for changes that were not included in the original note to seller during check out. This includes special requests that I have agreed to before you purchase. It is impossible to remember every request that I get so all discussed info needs to be included in your order details. If the mistake is mine, please contact me and your item will be cheerfully remade and reshipped to you as quickly as possible. Please notify me immediately upon receipt of the package. We will work out any problems together! Please do not leave a negative review or open a case against my shop until you have contacted me to discuss any problems. I do my best to make my customers happy but I can't do that if I don't know that there is a problem. RETURNS: DESTASH SUPPLIES & TOOL/MACHINE SALES ARE NOT REFUNDABLE as of March 7, 2018. I have a limit of 7 days for returns on non-personalized items and 7 days for any other claims of damage during shipment. That means I must be contacted about your returnable item within 7 days and it must be shipped back within 14 days of that notice of return. Personalized items are NOT returnable/refundable. You must contact me before shipping your non-personalized item back with tracking. You will be refunded MINUS ORIGINAL AND RETURN shipping once I have the item back in my hands. I do not issue partial refunds for any reason. Questions about using my jewelry in the shower or swimming are always answered honestly. I don't recommend that you consistently expose any jewelry (including mine) to water. Getting jewelry wet can cause the non-toxic permanent ink to fade over time. If you purchase a friendship style bracelet, the hemp cord can also wear out sooner under this type of use. You can find 1 mm hemp or cotton cord at any craft store and just replace it as often as needed--usually 4 colors per package are about $3. Taking proper care of your jewelry is always recommended. If your lettering does fade over time then simply contact me and I can tell you how to refresh it. I make all of my jewelry by hand and I am very proud of my quality but I can't be responsible for how the jewelry is worn and taken care of once it's out of my hands. If you have any questions about this than please contact me. DESIGN IDEAS: I reserve all rights to custom jewelry or accessory designs that I create from my own ideas or the ideas of customers and may potentially offer these designs in my shop. NO In Progress PHOTOS/PROOFS: I'm sorry but I don't offer in progress photos or proofs during the making process as it slows down my production time on my other orders and I don't allow changes to be made once I have started on your order. Thank You. Enter your personalization in the notes box at check out. You will see it after you add your item to your cart. It is directly under the item in your cart. Please remember to leave your wording, font, cord colors or any design stamps depending on which listing you choose. Please read each listing for the info you will need to leave during the check out process. Regular Adult is 6 inches for wrists 6 to 7 inches. Small Adult is 5.5 inches for wrists less than 6 inches. Child Size 5.5 inches for approximately 6 to 12 years. Toddler Size 5.0 inches for approximately 2 to 5 years. Every order is packaged in a gift box then placed into a clear cello bag and sealed with a branded sticker. This is appropriate for gift giving. All of my items are available for wholesale. Please contact me to inquire about bulk pricing and production times. You can find the live link at the top of every listing page or copy and paste the link into your browser.